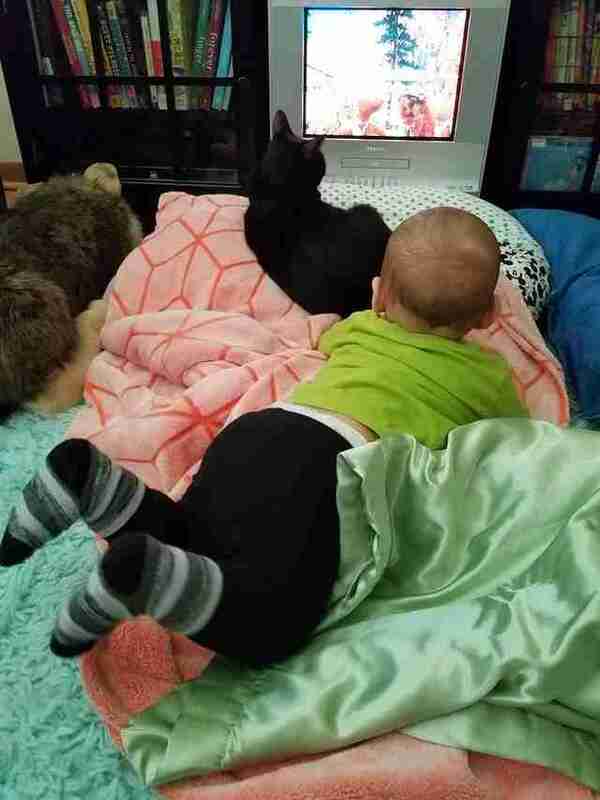 “They walk together, watch TV together, play fetch, I mean EVERYTHING." 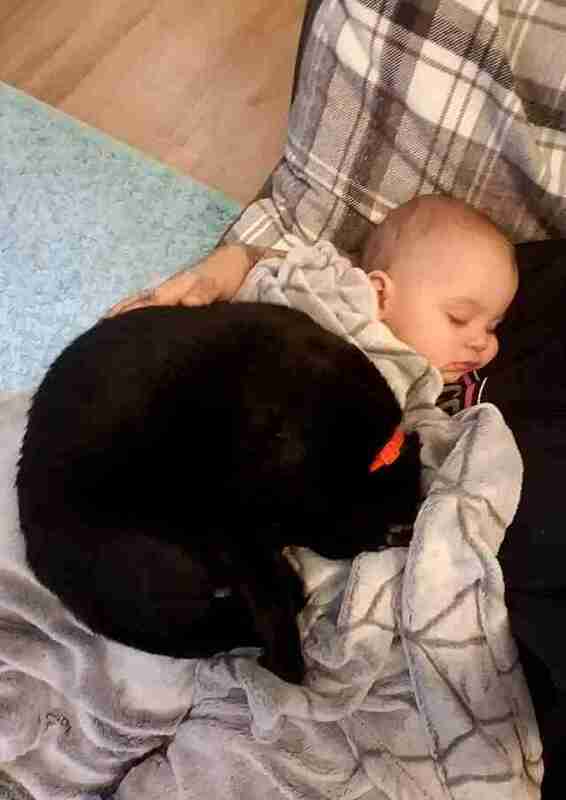 Jordan Jeffcote was six months pregnant when she stumbled upon an adoption event while out buying food for her cat, Jinx. 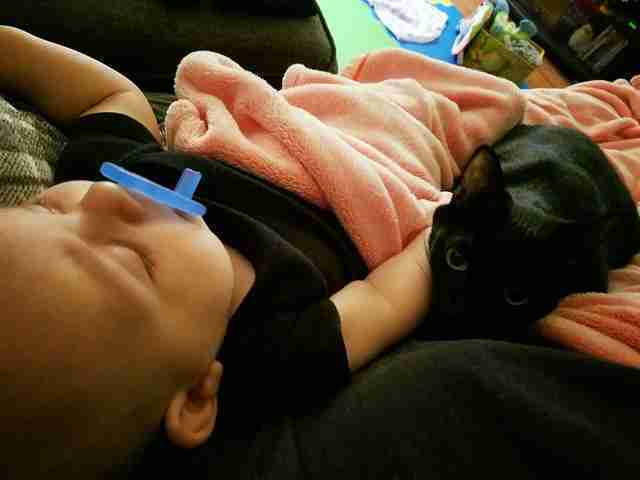 She stopped by to see the kittens, and immediately fell in love with a tiny, 3-month-old black kitten who was the last one left in his litter — but no one seemed to want him because he was a black cat. 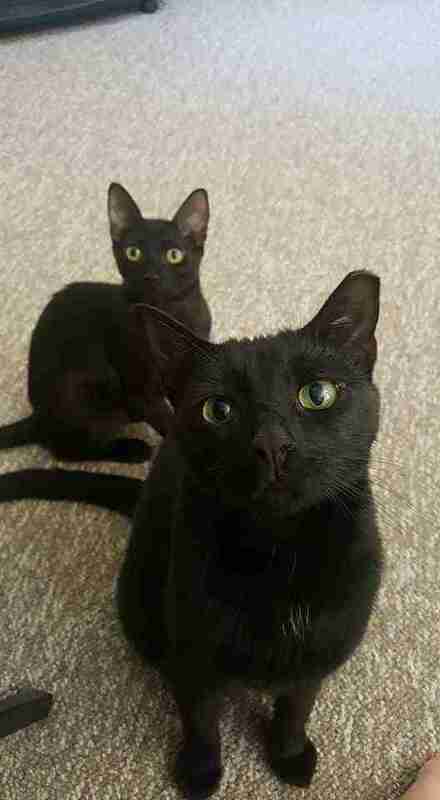 Despite already having a new family member on the way, Jeffcote decided they had room for one more, and welcomed Little into her family. Jeffcote took Little home, and had no idea back then just how much of an impact he would make on her family. 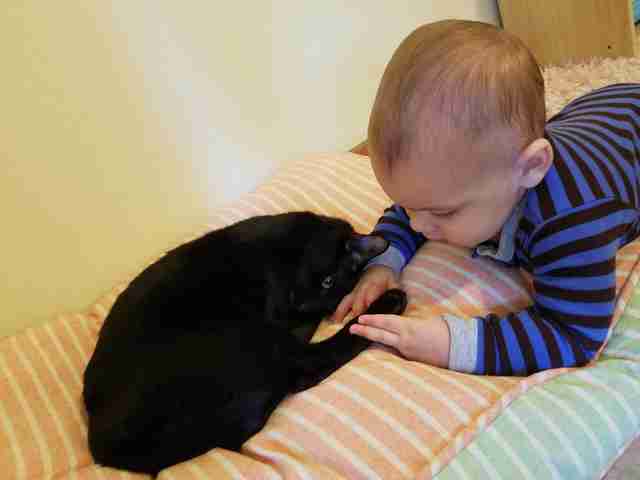 Little and Jinx became fast friends — and then Jude was born, and Little met his best friend. From that moment on, Little and Jude became the best of friends. Both had just joined the family, and both still had a lot of growing up to do, and it seemed they were the absolute perfect match. Jude is 10 months old now, and he and Little do absolutely everything together. 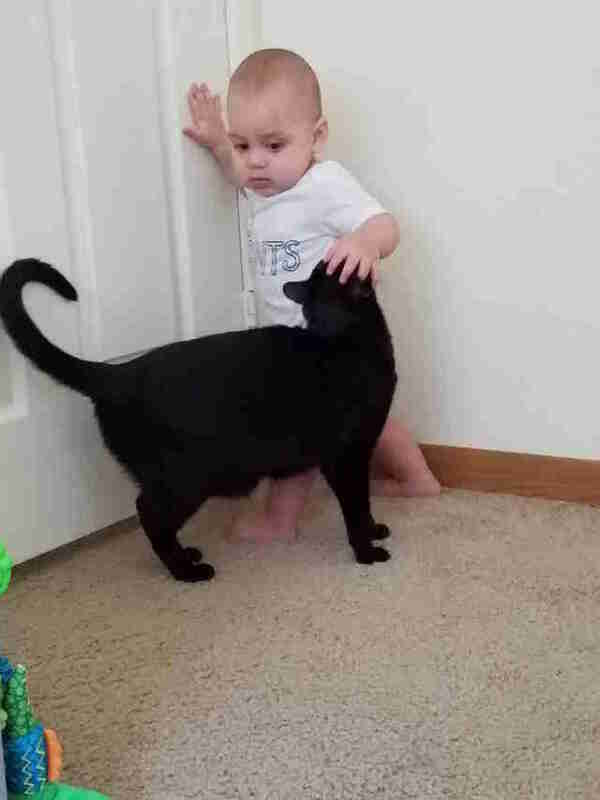 Little hates being apart from Jude even for a second, and is the most patient cat in the entire world with his little brother. 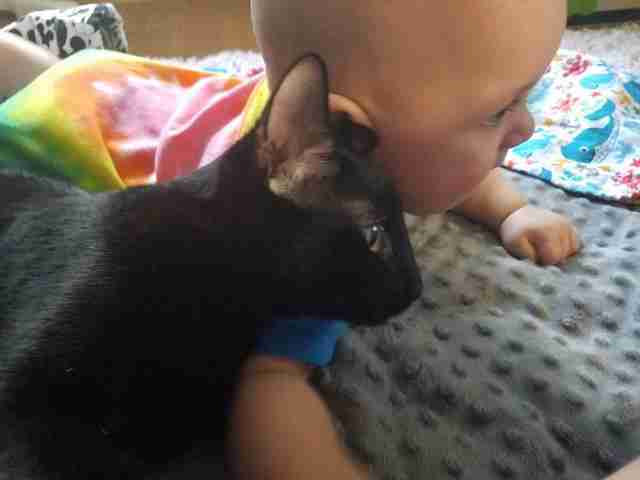 Little is very protective of Jude, and is always right next to him when he starts to cry, wanting to help. He’s a huge softie, and is happy to offer love and cuddles to anyone who wants it, but of course, Jude always comes first. When Jeffcote first adopted Little, she had no idea that she was adopting a new best friend for her future son. Now the pair get to grow up together, and will always be by each other’s side, no matter what.